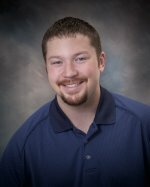 Dr. Jessie is a chiropractor brand new to Hamilton serving the entire Bitterroot Valley in Montana. Dr. Jessie seek to improve chiropractic patients' health and wellness in all areas of their lives. At Balanced Wellness Chiropractic, we treat the "whole person", which means looking for the underlying causes of disease, discomfort, and pain, which usually arise from imbalances in the spinal column. Under the compassionate supervision and care of Dr. Wheeler, patients report higher functioning in all areas of their lives.